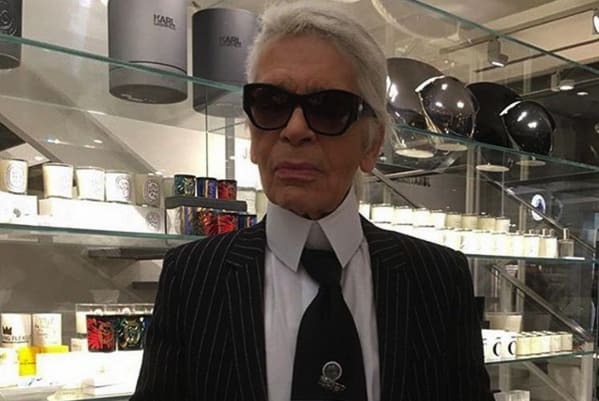 In the midst of many designers working to change up the fashion schedule, Karl Lagerfeld has sounded off on what he thinks of those wanting to switch to direct-to-consumer fashion. (Hint: He&apos;s just not that into it). Brands like Burberry, Tom Ford, and Vetements recently decided to start selling their collections according to a "see now, buy now" model, instead of waiting the usual six months to offer them to customers at retail. The decision to shake up the traditional calendar started a conversation around the world, but this week Paris and Milan refused to accept the new schedule— and it looks like Lagerfeld isn&apos;t having it either. But, he might have a better idea. In an interview with Business of Fashion, Lagerfeld calls the current state of the industry a mess, explaining that the extra time between showing and selling gives people the chance to make decisions and designers the opportunity to make their collections beautiful. But, he wasn&apos;t totally against the idea of on-demand fashion. The Chanel creative director says there is a right way to approach appeasing the needs of the Internet, without compromising. Lagerfeld says that he already makes an extra collection in between season that goes straight to stores without being seen by press, and his next move is to make his own collection strictly for online (he&apos;s incredibly productive, after all) . "Now I want to do something else—perhaps it&apos;s too early to talk about it—to make a special collection only for the [Internet]," he said. "Fifteen things, you buy them and you get them immediately." The collection he is planning will undoubtedly be different than the extravagant pieces he shows on the runway. But, maybe he&apos;s on to something.